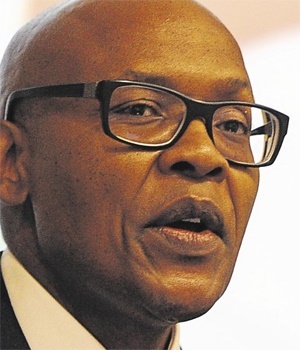 Asked on eNCA's weekly Justice Factor TV show how he plans to make a success of his newly-acquired Gupta businesses, Mzwanele Manyi explained that his business model is to position ANN7 and The New Age collectively as a “conveyor belt” for government communications. Unless Manyi has been promised continued and hugely favourable government spending for many years to come - in the form of advertising, funded business breakfasts, and massive New Age subscriptions - his business strategy is flawed indeed. Given the ever-dwindling reputational fortunes of ANC-led governments at various levels, it is unwise for him to expect his businesses to remain the spoilt child in the media family after the 2019 general elections - unless he knows something the rest of us don't. One simply needs to listen to Manyi’s many recent public utterances and the general public's reaction to them to estimate his reputational credit. The banks are also unlikely to trust his bona fides, given the role he has been playing as a shameless Gupta apologist and frontline warrior against what he continues to call white monopoly capital. Given all of the above, it seems safe to assume that either Manyi knows something the rest of us don't or that he has a solid Plan B safely stored until it’s ready for deployment at a future date. Solly Moeng is brand reputation management adviser and CEO of strategic corporate communications consultancy DonValley. Views expressed are his own.